The fat grafting procedure involves removing a person’s own fat so as to implant it at one of the places on the body where it is required. The typical areas from where fat can be extracted are thighs, abdomen, or buttocks, and injected into another area which needs plumping such as face. 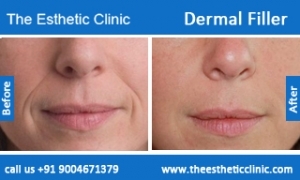 Fat grafting can enhance the sunken and creased regions of the face, and add fullness to the cheeks & lips, whenever used as facial filler. The fat is collected in a syringe & it comes out in the form of a liquid paste, which is then injected into the required region. Vaser Liposuction can also be used for Grafting fat. Facial appearance typically alters as age advances. 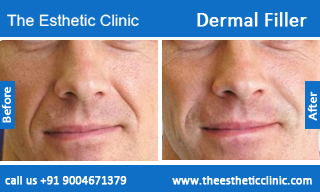 Thinning of skin and loss of muscle tone gives a sagging or flabby appearance to the face. In some individuals, the sagging jowls may give an appearance of a “double chin”. Fat present in the eyelids gets settled into the eye sockets, which imparts a sunken appearance to the eyes. The lower eyelids can slacken and bags can be formed below the eyes. Weakening of the muscle that supports the upper eyelid can cause the eyelids to droop. This may lead to difficulty in vision. Ogee Curve: This is the double soft S shaped curves that are visible in a young face from an oblique angle. There is convex fullness in the lateral brow that softly curves where both the eyelids meet, then softly curves outward on the upper cheek to again curve inward just above the mouth. As ageing takes place, the natural curve disappears – the face loses its volume, and also loses the harmony and grace of the Ogee Curve of youth. How to correct ageing of the face? As we age, our facial fat starts losing volume which in turn causes the skin to draw downwards. The area’s most likely to get affected are the chin and the mid-face area. This gives our cheeks a sunken appearance and the entire face looks empty. Retrieving the appearance of youth can be done by volumizing the mid-face with the help of fat transplant; wherein fat can be taken from different parts of body such as inner thighs, abdomen, buttocks, etc. This can impart a healthier glow to your face and bring back the added years of your life that were being taken away due to ageing. 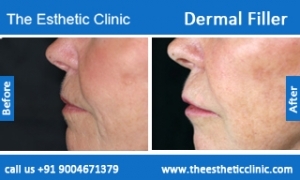 Fat Grafting is a substitutive treatment to using implants and fillers for chin enhancement. When can you consider getting a Fat Transfer done? 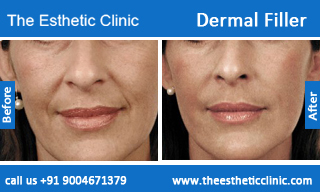 As ageing takes place, the facial fat (over the cheek bones, chin) goes down & becomes loose. This can be corrected with Fat Transfer to a certain extent. Fat transfer is a minimally invasive procedure carried out under local anaesthesia. Since it is a walk-in walk-out procedure; no hospital stay would be required. What are the merits & demerits of Fat Grafting? Fat Grafting is not predictable. Fat Grafting contains your own tissue to be grafted in an area elsewhere on the body where plumping is needed. Fat Grafting can become lumpy. Fat Grafting can become bulky, especially if you put on weight. In this method, fat is removed from the body with the help of suction. Tiny, thin, blunt-tipped tubes (cannula) are introduced through small cuts in the skin. Fat is suctioned out using these cannulas. This is an outpatient procedure which is carried out in a well equipped hospital. Are there any alternative treatments to Fat Grafting? 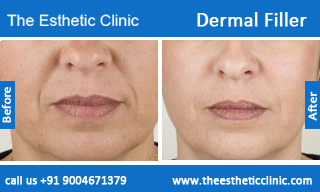 The best treatment for removing signs of ageing and give your face a fuller appearance is to make use of Dermal fillers rather than opting for fat grafting. These filler injections are a cosmetic treatment which lead to smoothing of wrinkles or pitted scars in the skin, generally over the face. Facial fillers are genetically engineered products like hyaluronic acid, collagen and calcium hydroxyl apatite that rejuvenate facial skin by decreasing and eliminating facial lines and wrinkles, Enhancing lips (lip augmentation), raising scar depressions. These facial injections also help in replacing soft tissue volume loss. Different types of Facial fillers are available; each of them serves a different purpose such as lip enhancement and wrinkle reduction. A qualified medical professional can help you in knowing what injectable fillers is the right treatment for you. Hyaluronic acid is the basic, natural element of your skin’s collagen. It is the natural filler substance in your body. Hyaluronic acid fillers viz. Perlane, Restylane, Juvederm (Juviderm, Juvaderm) are artificially produced by means of recombinant technology and then injected from outside the mouth just beneath the facial folds which impart a younger look to the face by replacing the volume lost. In case of Under eye dark circles, hyaluronic acid fillers are used for for filling the region under the eye. This can impart a new and younger look to the mid-face. Filler is injected using a tiny needle into the space directly above the bone and then keep massaging till it becomes smooth and even. Dermal fillers are used in case of Cheek Augmentation as well. These are injected in the cheekbones, chin and cheeks. 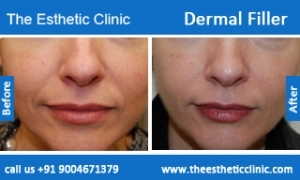 Juvederm Voluma with Lidocaine is the latest injectable filler, specially designed for areas like cheek bones & chin where volume is needed to be created. These require very less downtime, allowing patients to resume their normal activities & work immediately after the treatment. In summary, Fat grafting for face is just NOT advisable since it is very risky and can be hazardous for the face, in terms of appearance. Facial fillers serve as the best treatment in order to reduce wrinkles and signs of ageing. Though it is a temporary solution, it is the most trusted one. But at the same time, make sure you opt for the BEST Facial Plastic Surgeon who is highly adept at injecting Dermal fillers. 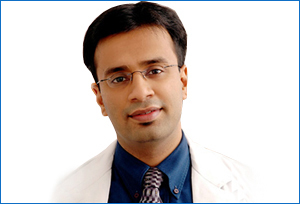 If you have chosen the Best Cosmetic Surgeon, undoubtedly you WILL get the best outcomes!